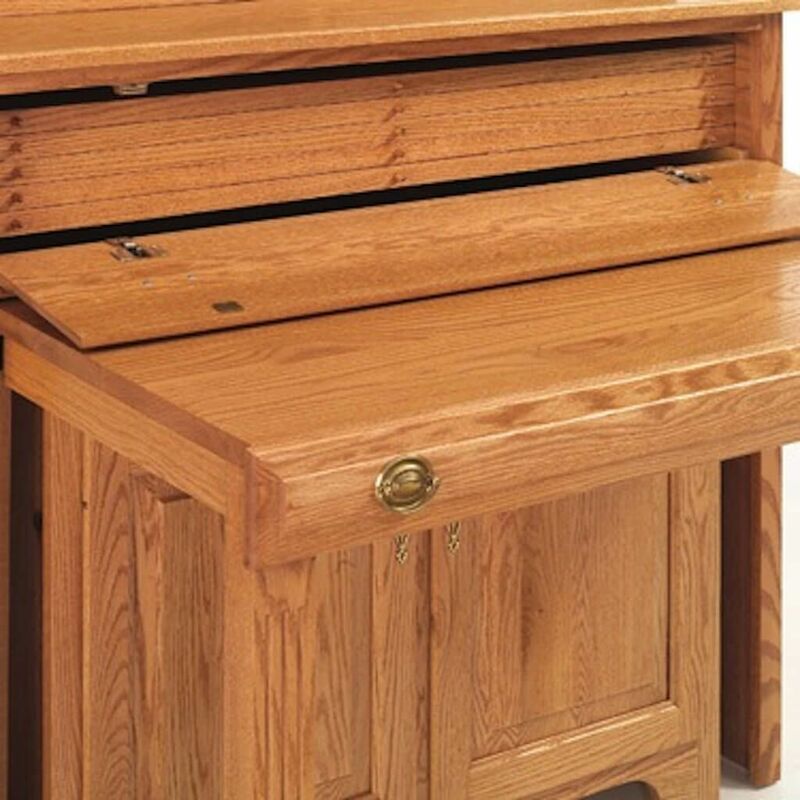 Solid wood construction and the ingenuity of the Amish bring you the Everett Pullout Console Table with Hutch, featuring expandable seating for ten. Our Everett Pullout Console Table with Hutch is the perfect solution for space-saving seating. 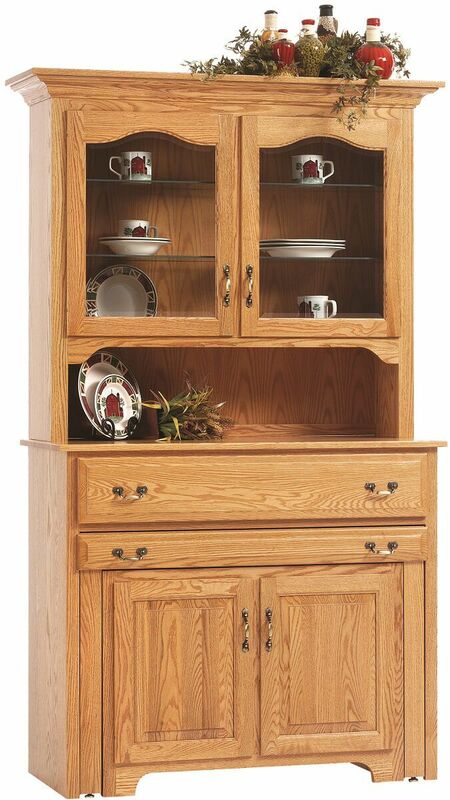 This hardwood dining cabinet starts as a basic hutch beveled glass doors and an open deck for serving and display. When expecting dinner guest, pull out the table frame and begin adding leaves until you reach the desired size of table or max out at 92" in length. All extension leaves store perfectly within the buffet. 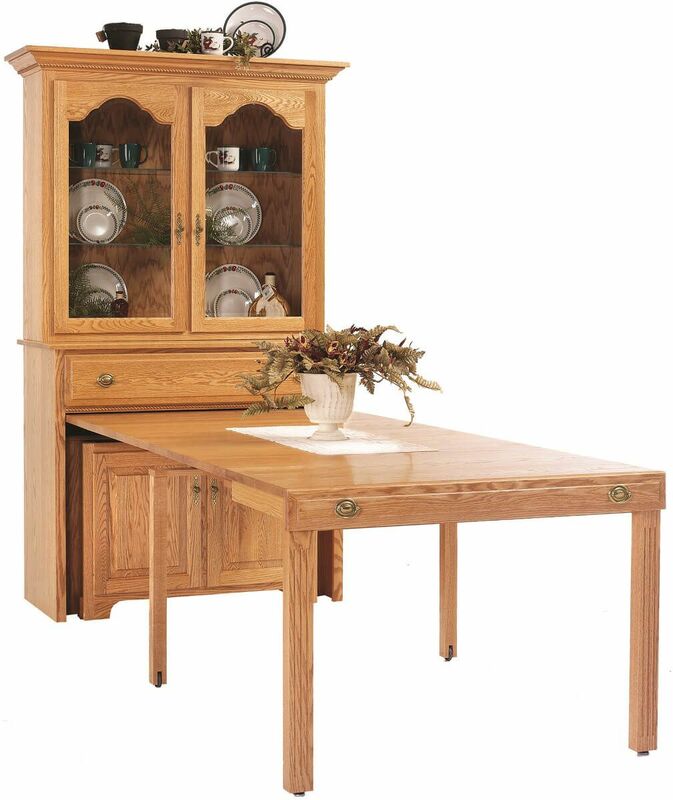 Our hutch with pull out table is constructed and finished based on your specifications. Order with a hand-rubbed Summer Sun stain over Oak as shown here, or create your very own hardwood and finish combination. 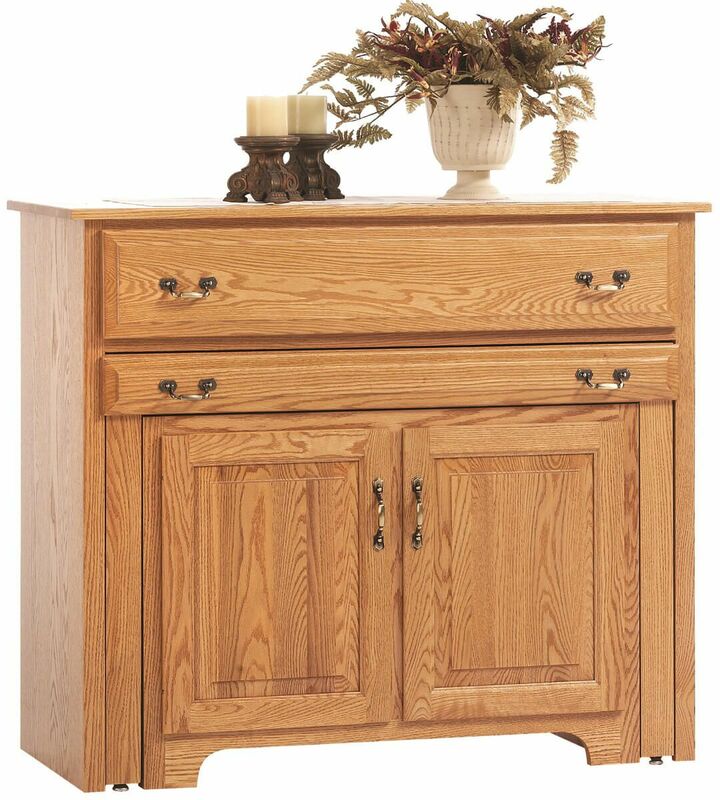 Every Everett Pullout Console Table with Hutch is carefully made-to-order in the heart of Amish country.